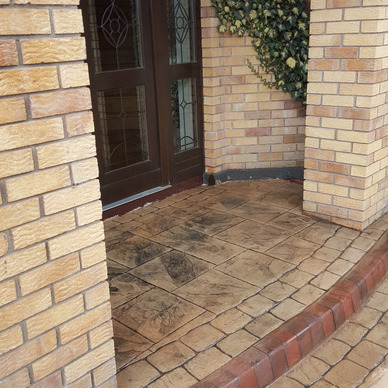 The driveway to your home or business is often one of the first thing your visitors notice so it is important that its attractive and well maintained. 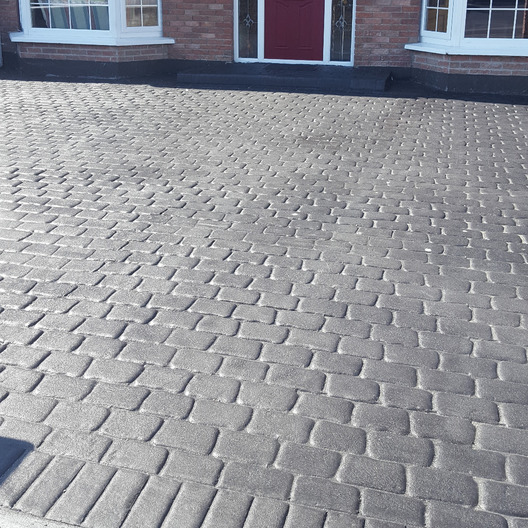 That’s why a GMcreate imprinted patterned concrete driveway is the perfect solution as it can be custom designed to suit your home, is low cost, easy to install and very low maintenance. 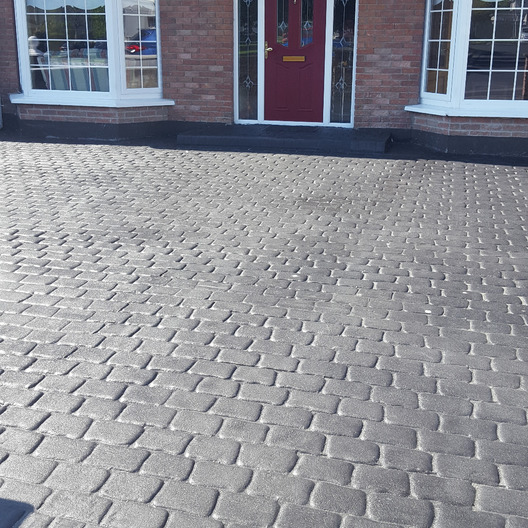 Installing a GMcrete printed patterned and coloured driveway is an attractive and practical alternative to other paving solutions. 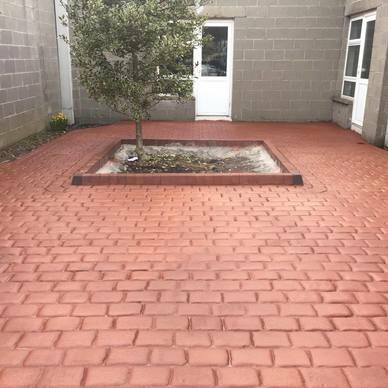 An imprinted concrete driveway is strong, long lasting and very durable and is suitable for all types of vehicles, in fact it will look just as good as the day it was laid for many years to come. When laying concrete it is vital that all aspects of drainage be carefully considered and planned for. We at GMcrete ensure that all the necessary ground work and drainage systems are installed to eliminate any drainage problems. The last stage of each job is to apply the weather resistant sealant that comes in a high Gloss or Matt finish. The sealant also prevents moss or weeds taking hold and protects against oil and other stains on the surface. 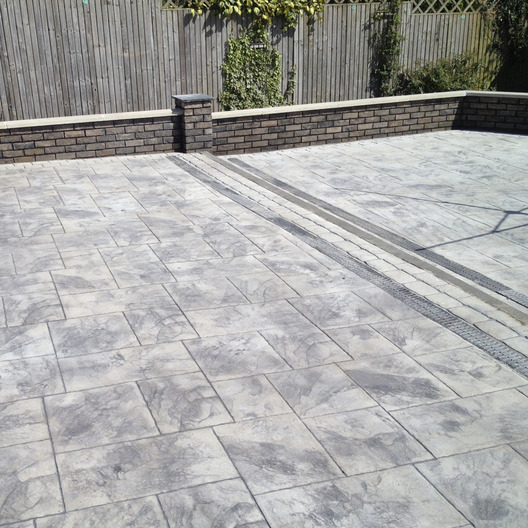 We offer a maintenance & re-sealant service to household with existing imprinted concrete throughout the Dublin area. 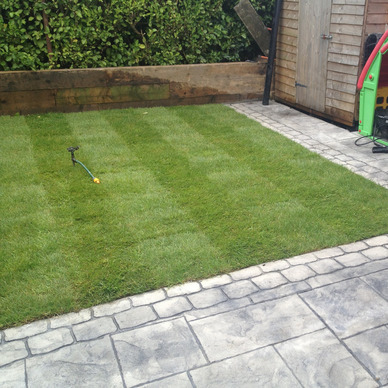 When you undertake the project on your driveway, paths or patios it is often the perfect opportunity to repair, replace or add garden features such as hard boarders, dividing walls, raised flower beds or new pillars as you enlarge your driveway's entrance. 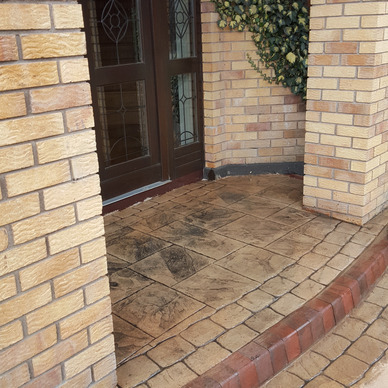 Our professional tradesmen carry out all types of brick work and plastering to add the finishing touches to your driveway, paths or patio whilst improve the appearance of your home and garden as well as adding to its value. An imprinted concrete patio is not only the perfect option for any decorative outdoor flooring area but it is one of the most cost effective. With multiple colour, style and patterns available to choose from you can create a beautiful garden or entertainment area exactly to your tastes. Go to the Your Design’s page to see what can be achieved from this low cost, low maintenance patio solution get inspiration and see what you can do with your garden.